When rock ’n’ roll emerged in the 1950s, ministers denounced it from their pulpits and Sunday school teachers warned of the music’s demonic origins. The big beat, said Billy Graham, was “ever working in the world for evil.” Yet by the early 2000s Christian rock had become a billion-dollar industry. 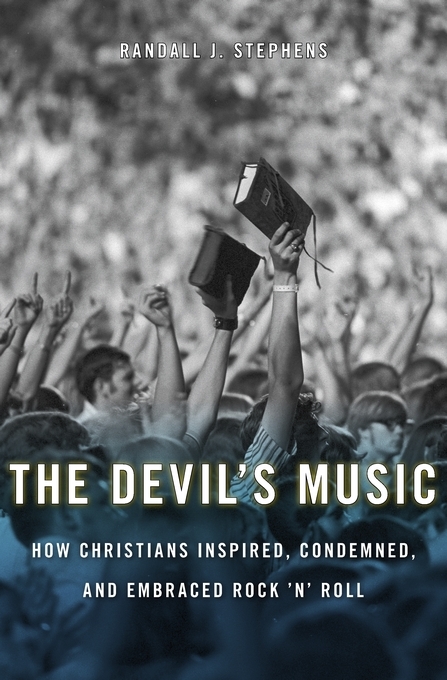 The Devil’s Music tells the story of this transformation. Rock’s origins lie in part with the energetic Southern Pentecostal churches where Elvis, Little Richard, James Brown, and other pioneers of the genre worshipped as children. Randall J. Stephens shows that the music, styles, and ideas of tongue-speaking churches powerfully influenced these early performers. As rock ’n’ roll’s popularity grew, white preachers tried to distance their flock from this “blasphemous jungle music,” with little success. By the 1960s, Christian leaders feared the Beatles really were more popular than Jesus, as John Lennon claimed. Stephens argues that in the early days of rock ’n’ roll, faith served as a vehicle for whites’ racial fears. A decade later, evangelical Christians were at odds with the counterculture and the antiwar movement. By associating the music of blacks and hippies with godlessness, believers used their faith to justify racism and conservative politics. 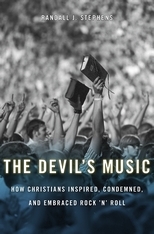 But in a reversal of strategy in the early 1970s, the same evangelicals embraced Christian rock as a way to express Jesus’s message within their own religious community and project it into a secular world. In Stephens’s compelling narrative, the result was a powerful fusion of conservatism and popular culture whose effects are still felt today.